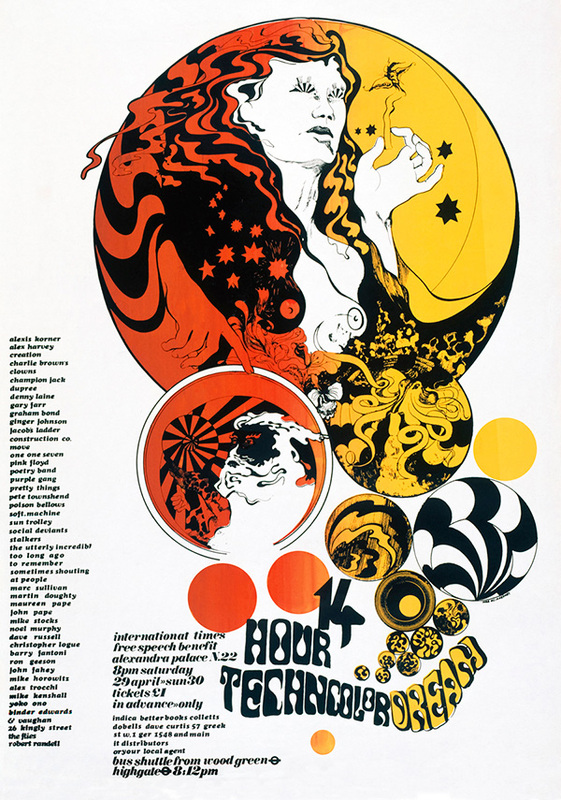 Poster produced for the IT benefit concert at the Alexandra Palace held on April 29 1967. I never tired of watching people float around during these events, occasionaly blowing bubbles, totally self absorbed. I illustrated this with an image of rising bubbles containing various visual ideas from mythological to optical as a reference to varied self-contained drug states. The poster was made using two printings. As the printing progressed the inks where changed at the bottom and top of the poster and blended with one pull of the squeegee, no two posters where the same.